Employees Choose Project, Task, etc. 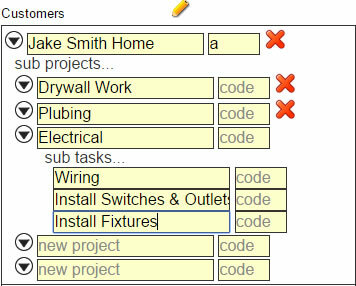 Using the employee portal or phone app, you employees select the customer, project and task they are working on. 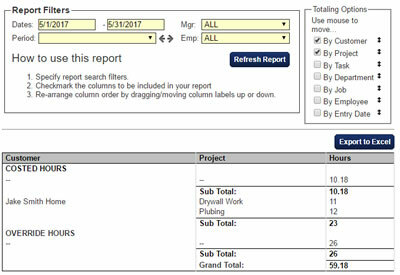 Once your employees have added costing data, you will need to run reports. 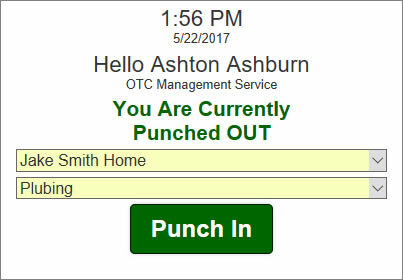 Reporting is easy, select the date range, then select totaling options.